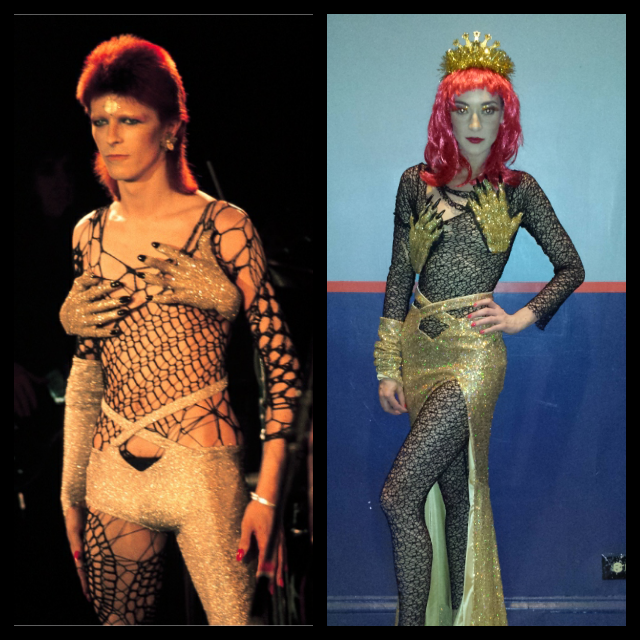 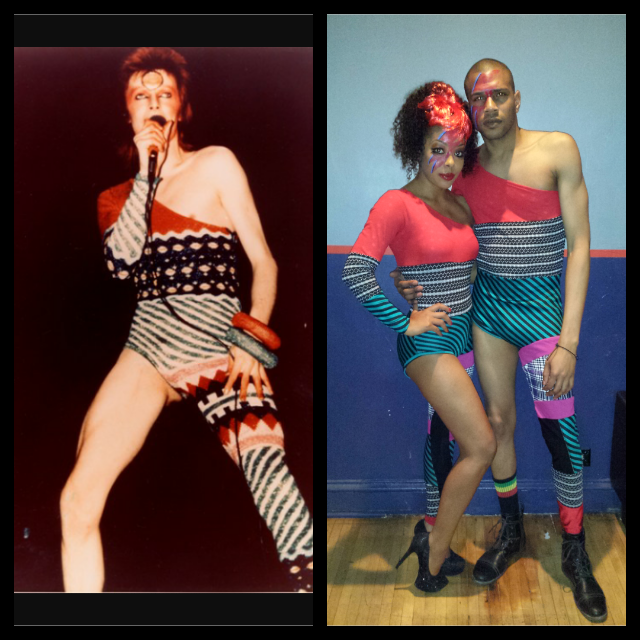 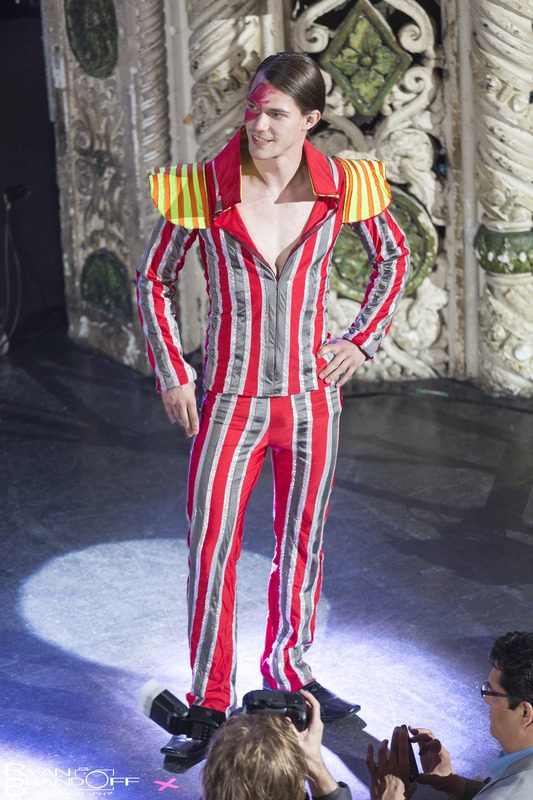 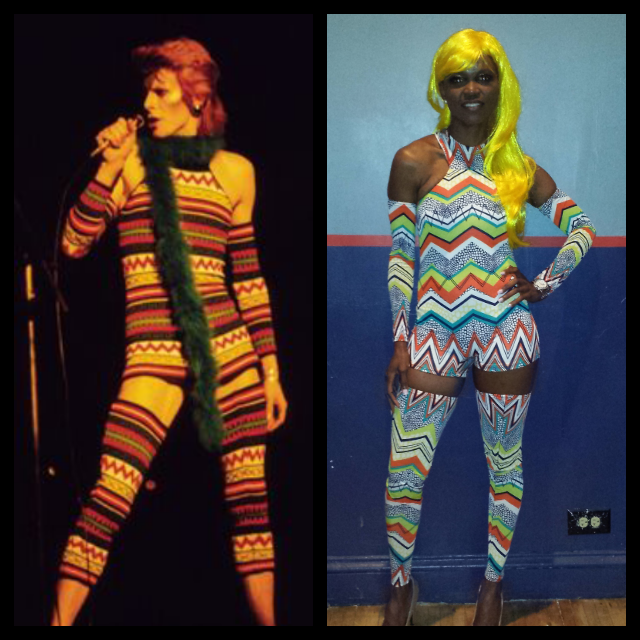 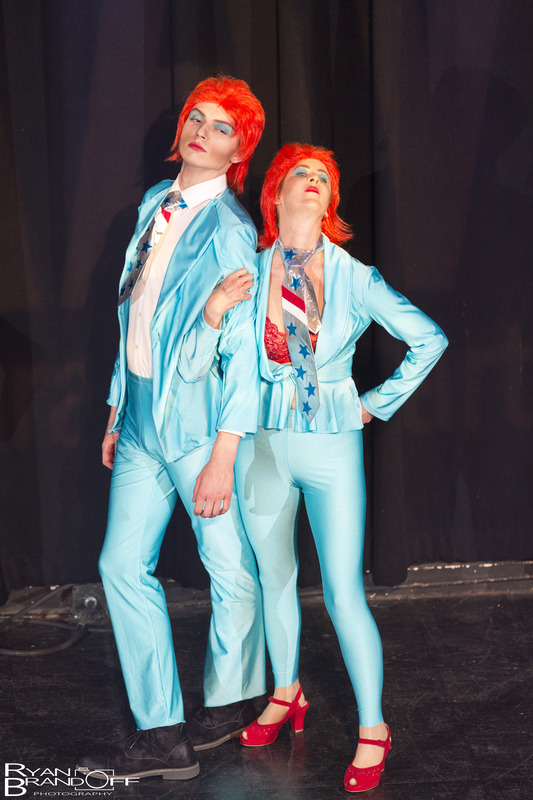 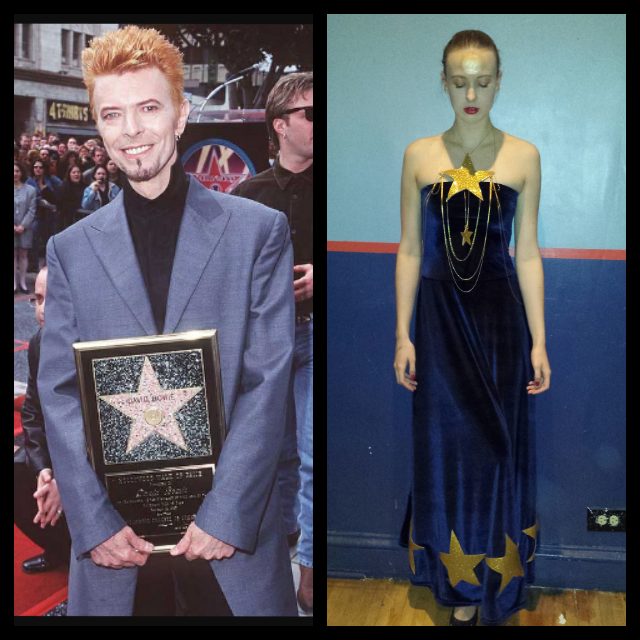 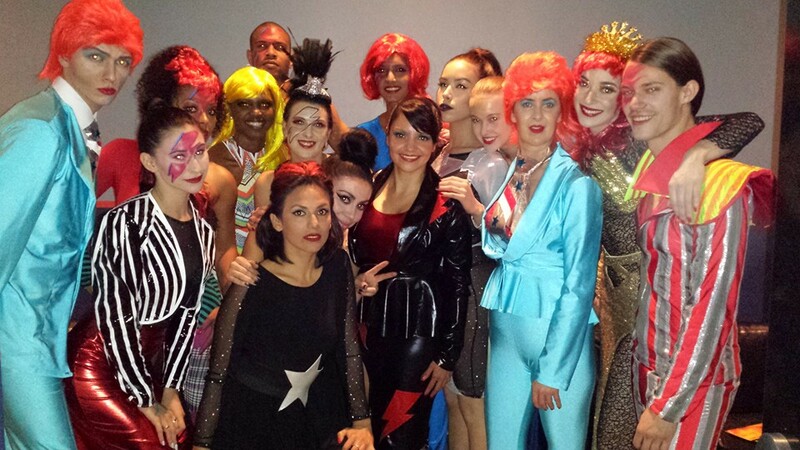 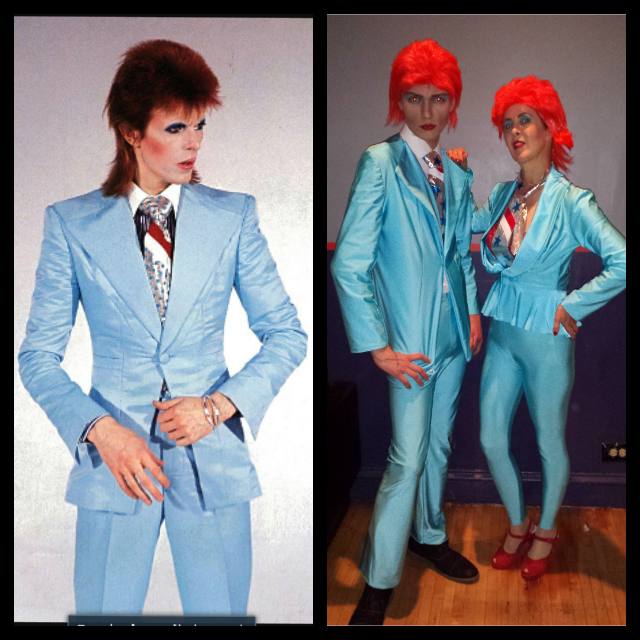 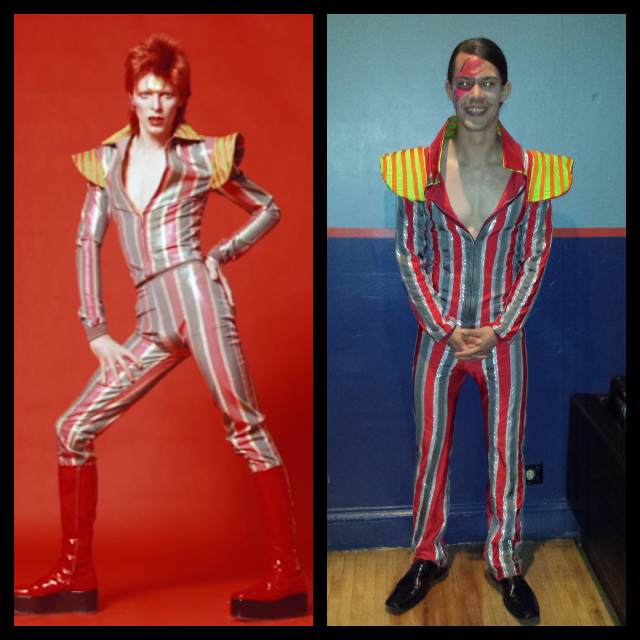 Sadly, David Bowie passed away January 10, 2016 and I knew I had re-create some of his amazing costumes from his Ziggy Stardust days. 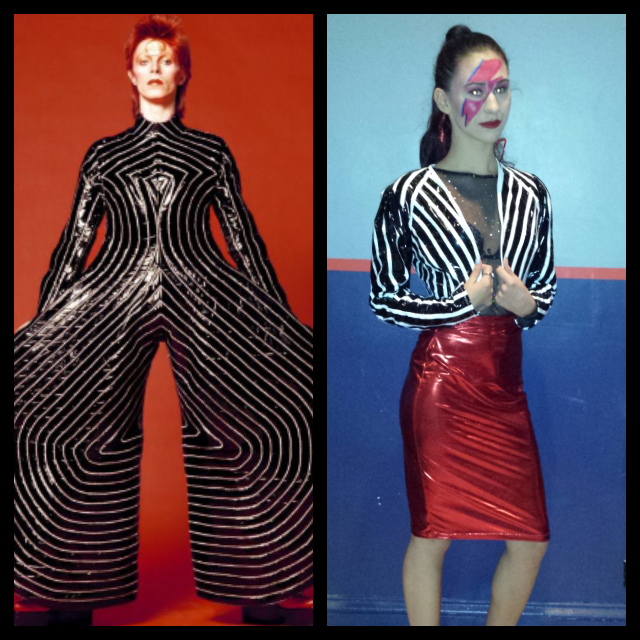 I also saw his exhibit “David Bowie Is” at the MCA and I was greatly inspired by this man! 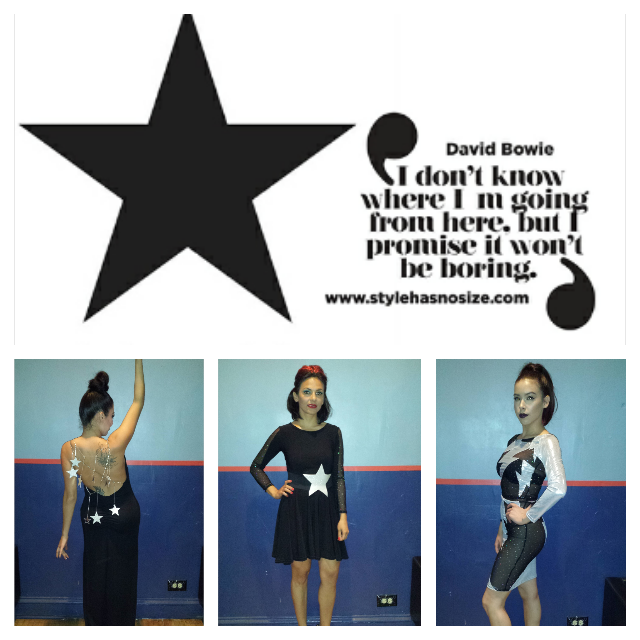 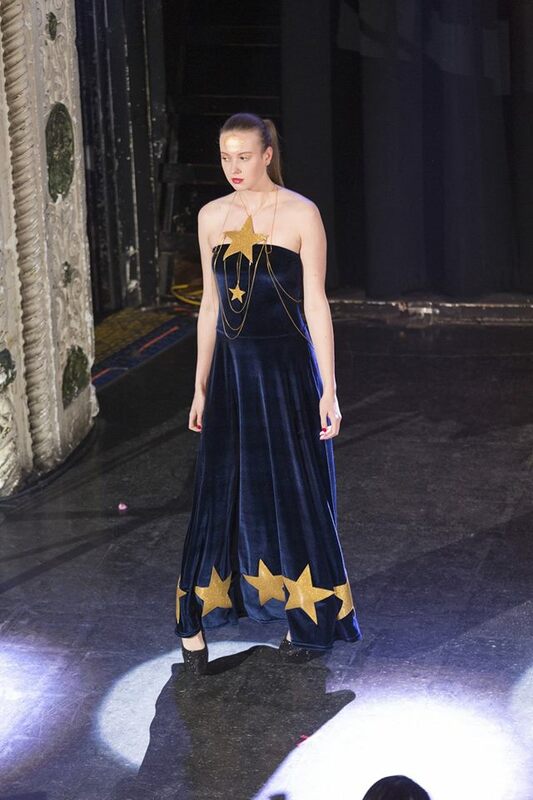 So when the opportunity to showcase my work at the RAW Artists event at Chicago’s well known music venue The Metro came up I knew I had to do a small tribute fashion show. 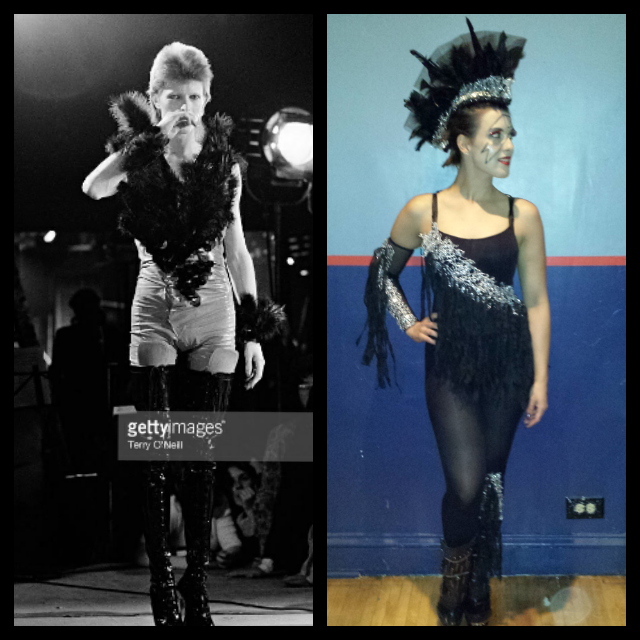 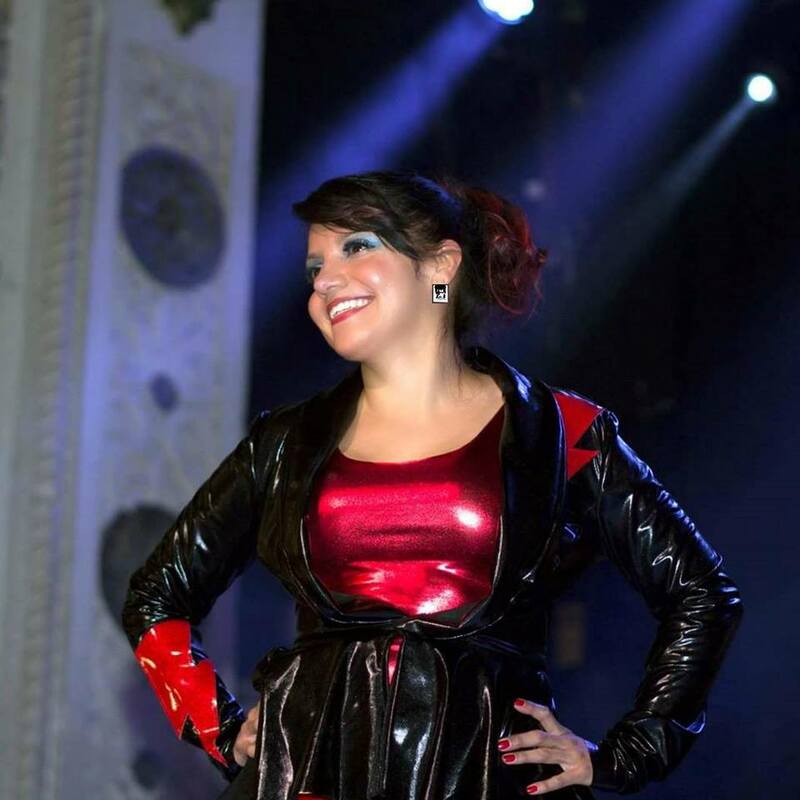 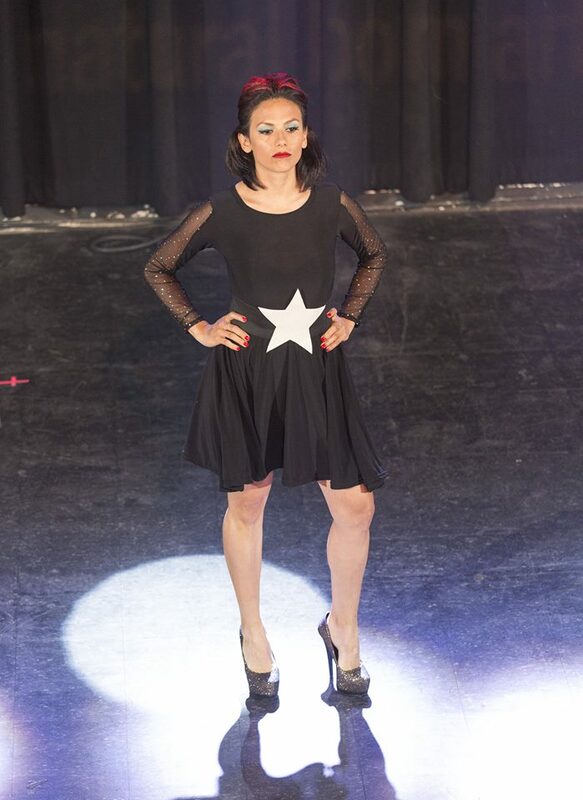 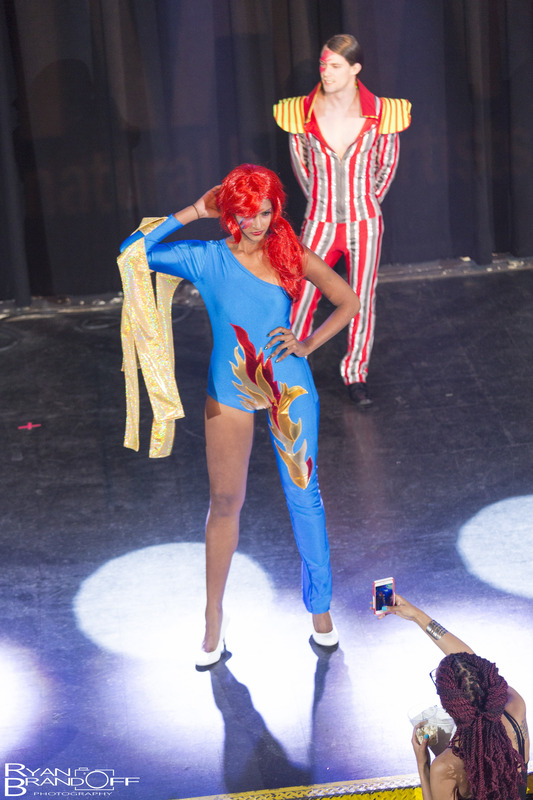 I started with some traditional looking David Bowie costumes during his Ziggy Stardust days and then moved on to some fashionable pieces to a little more elegant designs.